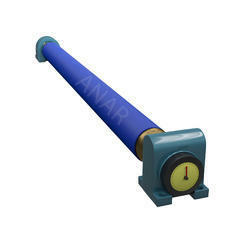 Prominent & Leading Manufacturer from Ahmedabad, we offer rubber expander roller, rubber expander roller for paper industry, rubber expander with fep teflon sleeve, rubber expander roller for textile industry, rubber load roller and rubber grooved spreader rollers. Control slack edges Try to even out lateral tension across the web width. Our Rubber Expander Roller as well as Metal Expander Rollers in different ranges and prices according to the requirement of our customers. The main and very useful benefit of this type of roller is; they are used as a wrinkle remover device in a large number of industries. The performance rate of this product is extraordinary. 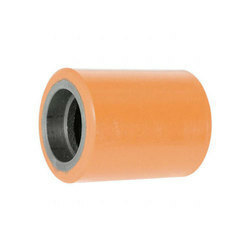 These Expander Rollers are available at much effective cost so they are in demand at the market place. These devices are generally known as the wrinkle remover devices..
We are offering our best quality Rubber Expander with FEP Teflon Sleeves which gives better performace with hassle free. 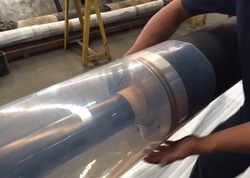 Sleeve thickness depending on application. Our Rubber Expander & Metal Expander Rollers. We are capable to manufacture the Rubber Expander as well as Metal Expander Rollers in different ranges and prices according to the requirement of our customers. The main and very useful benefit of this type of roller is; they are used as a wrinkle remover device in a large number of industries. The performance rate of this product is extraordinary. 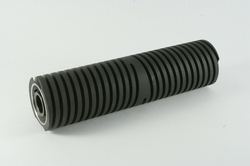 These Expander Rollers are available at much effective cost so they are in demand at the market place. These devices are generally known as the wrinkle remover devices. We are one of the exclusive exporter and manufacture of a quality range of Rubber Load Roller to our clients. 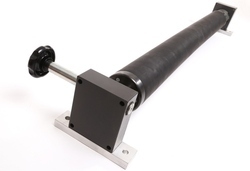 We are one of the leading manufacture and exporter of a wide array of Rubber Grooved Spreader Rollers to our clients in the world.